Global Foot and ankle devices market: Foot and ankle devices are used for the treatment of heal injuries and disorders in the foot and ankle region with or without the help of surgical procedures. On the other hand, injuries caused by orthopaedic disorders, such as bunions, arthritis, diabetic foot, and hammertoes which may call for surgical procedures with the subsequent use of foot and ankle devices. These devices are also used in replacement of foot lost or foot damage due to, trauma, amputation, and congenital conditions. Technological developments made these devices as stronger and lighter, and restrict the additional energy applied by the organ. The foot and ankle devices market is growing at a significant CAGR due to increase in population and road accidents. Increase in bone injury cases among adults with diabetes and vascular disease leads to deterioration of the foot-ankle area and infections caused due to the poor circulation of blood, and rise in the incidence of injuries owing to major accidents and sports are expected to fuel the foot and ankle devices market over the forecast period. Moreover, technological developments such as increased battery life and more shock absorption, introduction of microprocessor controlled prosthetic feet have increased the comfort level of patients and is thus gaining popularity which is expected to propel the foot and ankle devices market growth. However, the high cost of some of the foot and ankle devices, lack of trained professionals, and implied excise tax on medical devices are a few of the primary factors hamper the future growth of foot and ankle devices market over the forecast period. The foot and ankle devices able to repair the ligament and reconstruction procedures such as arthrodesis, joint replacement, and internal fixation. Foot-ankle extremities are a key revenue contributor to the global foot and ankle devices market. The most commonly adopted strategies by industry players include new product launches with technological innovations, acquisitions & mergers, agreements, and collaborations to capture significant foot and ankle devices market share. For instance, in September 2015, Integra Life Sciences acquires Tornier foot & ankle products ahead of Wright Medical merger to increase its foot and ankle devices market share outside the United States. Similarly, in May 2013, Wright Medical introduced Ortholoc 3Di with screw technology and redesigned plates for multiple applications in foot and ankle devices market. Geographically, foot and ankle devices market has been segmented into following regions Viz. North America, Latin America, Asia-Pacific, Europe, and Middle East & Africa. U.S. foot and ankle devices market is anticipated to dominate the market share in the near future. North America is expected to hold the dominant share in the foot and ankle devices market followed by Europe and Asia-Pacific. Increase in the sports injuries, rising prevalence rate of diabetes and arthritis (according to the National Health Interview Survey (NHIS), approximately 22.7% of adults in the U.S. are diagnosed with arthritis every year), and entry of new products into the market might fuel the growth of foot and ankle devices market in North America region. Europe accounts for the second largest share in foot and ankle devices market attributed to the entry of new devices to treat foot and ankle disorders, expansion and penetration in Europe countries are key drivers for the growth of foot and ankle devices market. Asia-Pacific market is growing at a significant CAGR owing to increase in aging population rise in the sports injuries, the higher acceptance rate for advanced technologies, and rising cases of road accidents in the Asia-Pacific region. 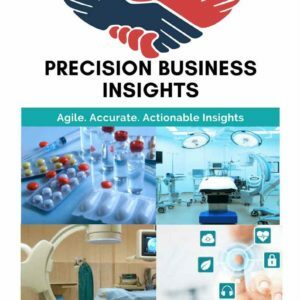 Some of the players in foot and ankle devices market are Stryker (U.S.), Smith & Nephew (U.K.), Zimmer Biomet (U.S), Arthrex, Inc. (U.S.), Wright Medical Group N.V. (U.S.), Mondeal Medical Systems GmbH (Germany), Integra LifeSciences Corporation (U.S.), Extremity Medical (U.S), and De Puy Synthes (Johnson & Johnson) (U.S.), and to name a few.